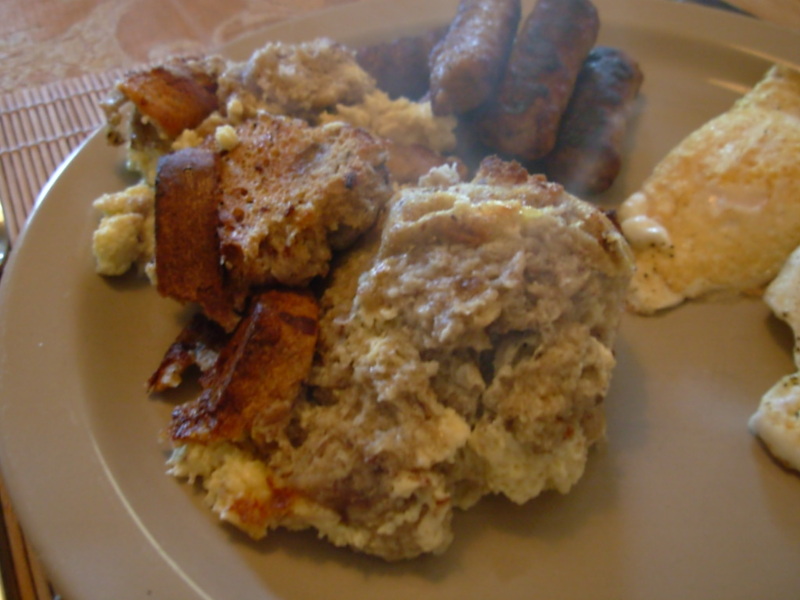 The wonderful folk singer Christine Lavin wrote a song called “French Toast Bread Pudding,” in which she describes how to make this easy and delicious brunch or dessert dish. Who doesn’t like bread pudding? Who doesn’t like French toast? I copied the recipe from the song and have made it numerous times, and it’s always a winner. 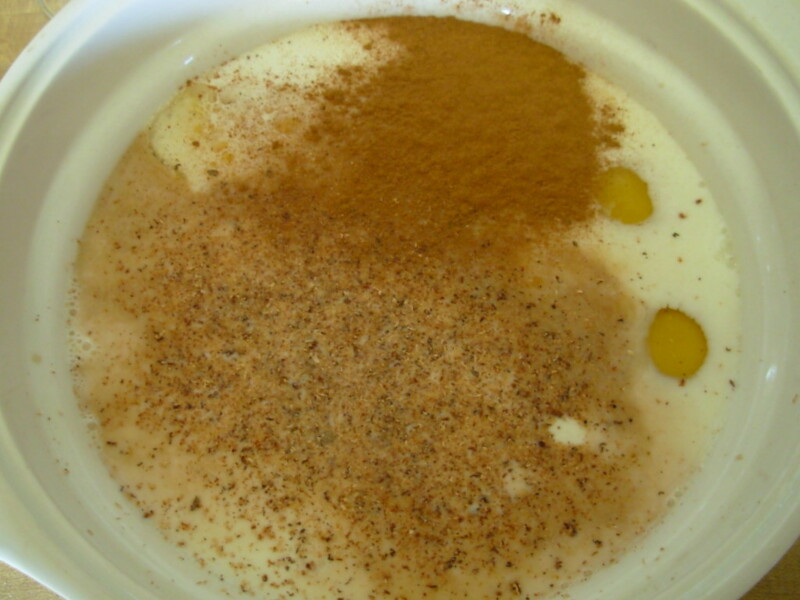 Whisk until sugar is dissolved and the eggs are incorporated into the mixture. 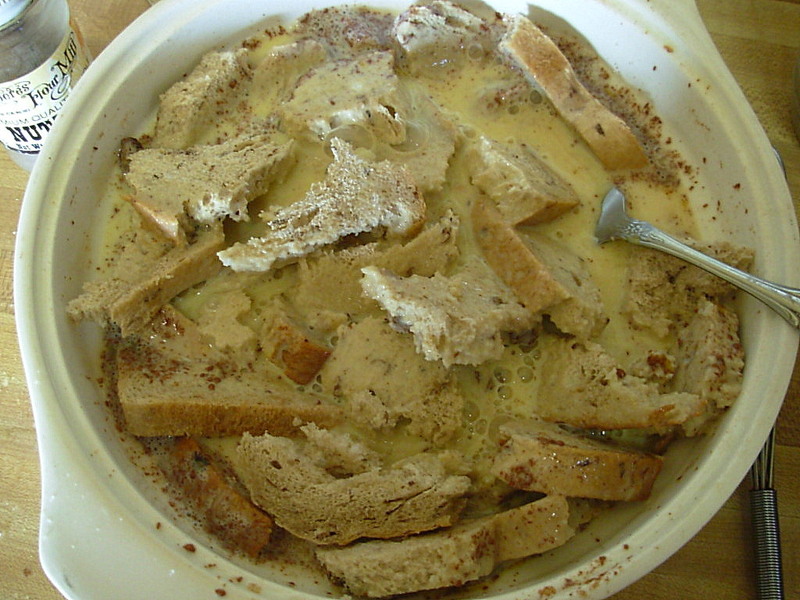 Tear up 1/2 loaf of bread and push it down into the milk-egg mixture. Here I used cinnamon-raisin bread, but just about any kind of yeast bread (sourdough, challah, white, brioche) would work. Pour into a baking dish or two aluminum loaf pans, well buttered. (I mixed this in a souffle dish which I then baked it in.) Cover pans with foil, put in the refrigerator, and go to bed. In the morning, put the pan(s) in a COLD oven and turn the oven to 350. After 30 minutes, remove the foil and bake another 30 minutes. Ta-dah! 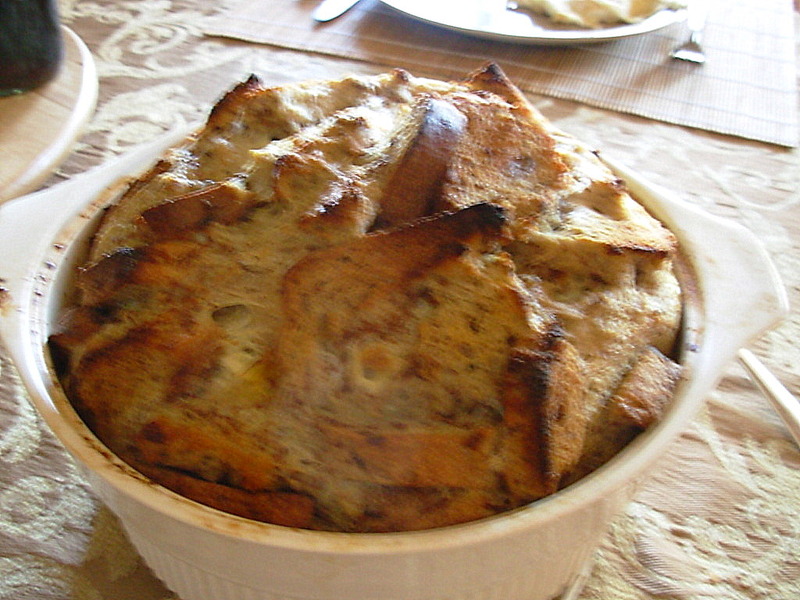 French toast bread pudding. Serve with maple syrup and sausages/bacon/ham. This would also make a fabulous dessert with lemon or whiskey sauce in place of maple syrup. Posted in recipe and tagged brunch, dessert, gluten free, vegetarian. Bookmark the permalink.